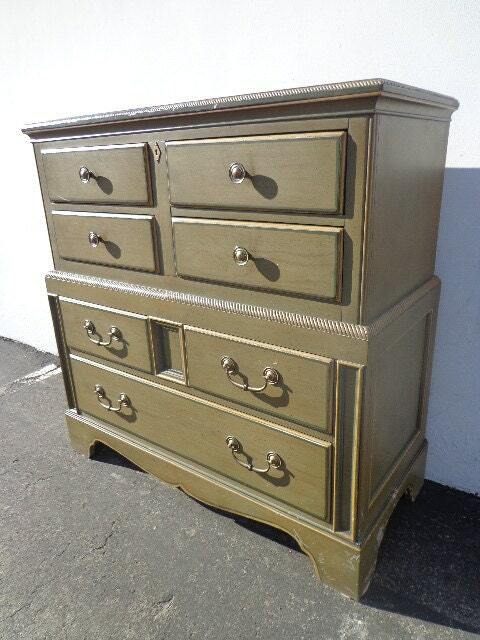 Nice and well made dresser / tallboy / highboy chest by reputable Drexel. 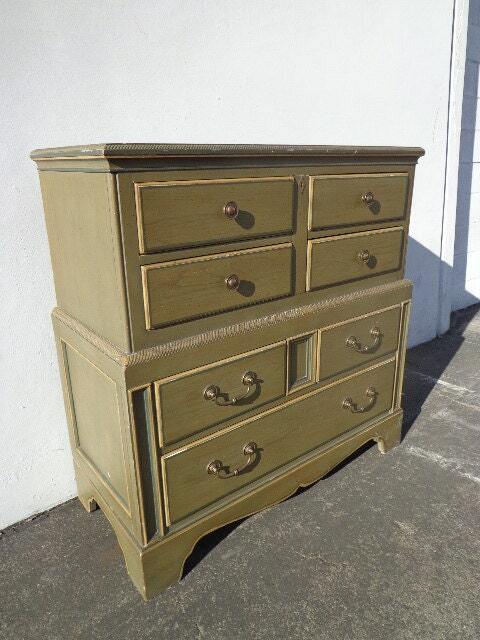 Constructed of solid wood, painted green, and perfectly distressed. 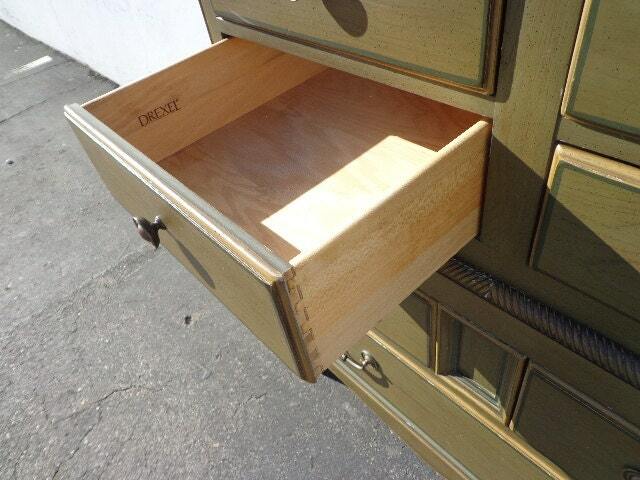 Features 7 dovetail drawers, original hardware, and perfect space saving design. 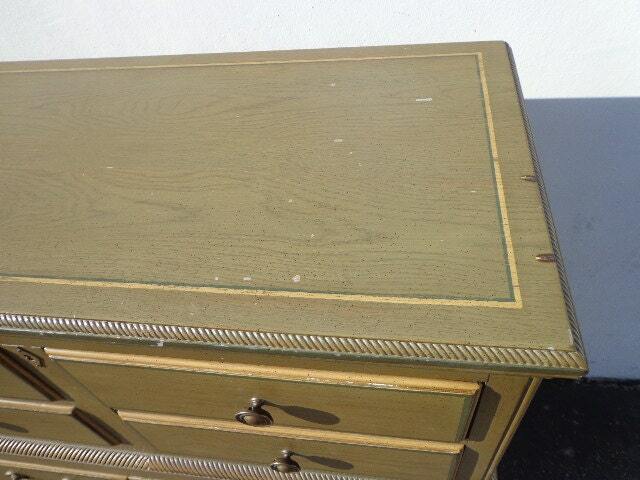 Shows surface wear and needs to be refinished. 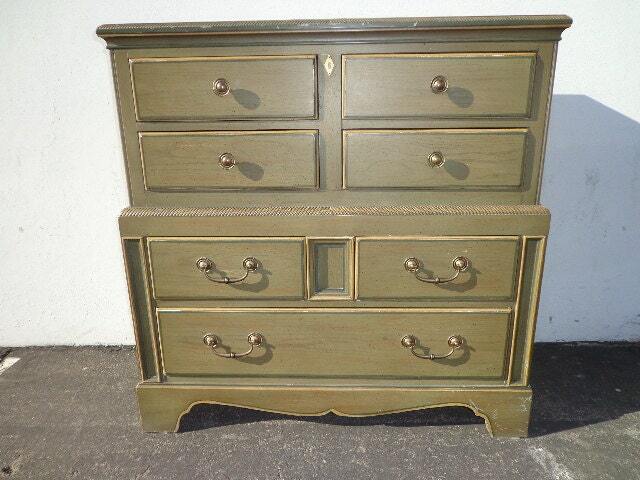 Perfect piece to paint for a whole new look or keep as is. Dimensions: 40" x 18 1/4" x 40 3/4"